US experts believe Iran will be able to produce nuclear weapons material in the next few months. For Jordan, Iraq and Saudi Arabia – and even the Gulf states – this is particularly worrying as any nuclear-tipped missiles would fly overhead no matter who launches them. Iran is one of the world’s most significant nations in terms of history, culture and intellectual capacity, and is matched in the Middle East perhaps only by Israel. It is a small wonder, then, that when Iran’s hard-line and irascible president talks of building military capability and destroying Israel, Tel Aviv feels its survival is menaced and that Tehran’s regime is its nemesis. For all of its 61 years in existence, Israel has considered itself in a permanent war of survival. It has developed a national system which places great emphasis on its military and intelligence capabilities. 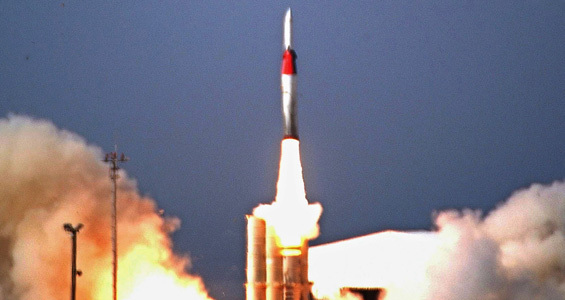 Starting from scratch, Israel has developed technologies which are truly world-leading, especially in the delivery of shock and awe on any potential enemy…. The rest of the world can only hope that sense prevails in Tehran and the internal situation is resolved in a way that does not ‘force’ Ahmadinejad to take the ‘nuclear option’ – not literally, but by creating the conditions for war in order to reinforce his own embattled and increasingly fragile position as leader. Paul Beaver is an independent defence and security analyst based in London. In his 30 years of commenting on strategic matters he has held senior positions in several organisations, including Jane’s Information Group.